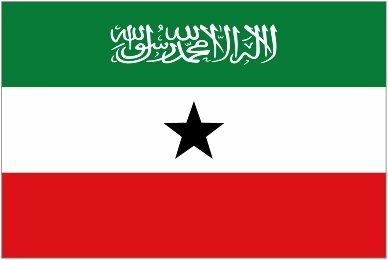 A new kind of monetary system may be emerging in Somaliland, born from the country’s openness and culture of innovation – something that could be about to influence the region and the World. Bob Dylan once said that ‘money doesn’t talk, it swears’, but in Hargeisa the capital of Africa’s Somaliland it stinks. It literally stinks, reeking of rotten paper, like a leaky library in a monsoon. That’s because there’s so much of it. For every dollar there are almost 17,000 Somaliland Shillings and the highest-denomination note is 500 Shillings, which is by no means the most common note in circulation. Money-changers sit within self-built stacks of money (picture left, video below) and children take wheelbarrows of it from one place to another, reminiscent of 1930s Weimar Germany when the Deutsch Mark became worthless. By all criteria, cash doesn’t work here. Could tiny, unknown Somaliland become the first nation to become a cashless society? It is not only possible, it is almost certain. There is already a surprisingly strong base for this to happen. Thanks to a cobbled together-by-necessity system of money-transfer posts from Somaliland’s diaspora and a surging mobile banking industry, the country has to do away with cash. But first some background. The currency is not formally recognised and neither is the country. Somaliland has no ATMs and credit cards are not only impossible to use, but are regarded as ridiculous items by local people. The country declared itself independent in 1991 after a brutal civil war with Somalia and now has a free press, a free market and a recent election was widely perceived as free and fair. A significant diaspora send American dollars home by using Dahabshiil, an African version of Western Union that is extraordinarily efficient. Wherever in the world money is paid in, Somalilanders can withdraw American dollars within five minutes of funds being deposited via 24,000 agents and branches in 144 countries. Moreover they receive a SMS before that time telling them their dollars can be picked up. I was thankful of Dahabshiil after arriving overland from Ethiopia. I had flown in from India after acting in my second Bollywood movie and was used to people escorting me from my trailer carrying umbrellas and catering for my every need. I would have needed a trailer if I had changed all my dollars; an obviously insane and unsustainable system. Consequently, Selesom, the major mobile carrier has launched a service where cash is completely bypassed. Mobile banking in Africa is nothing new and is far more advanced in the West or Asia, but Somaliland can take this to a further level because the country itself doesn’t officially exist. The state itself runs on a budget of only $40 million dollars so entrepreneurship and innovation is vital to keep the country going as it strives for formal recognition from the rest of the world. In less than six months more than 80,000 people in Hargesia have signed up with Selesom for its ZAAD mobile money service for money transfers, retail purchases and bill payments, a significant number in an already buoyant mobile sector of five carriers in a ‘country’ the size of England and a population of only 3.5 million. Calls from Somaliland are the cheapest in Africa and fierce competition between the country’s carriers means calls from Somaliland are five to six times cheaper than other African countries. Mohamed Saed Duale, the founder of Dahabshiill has joined the fray and recently launched Somtel and joins Telesom, Telcom, Africa Online, Nationlink and Soltelco as the country’s sixth carrier. The implications are clear. Somtel will use the 18-year money-wiring experience of its parent company to take on Selesom in the mobile money sector. The diaspora will continue to wire money home but the recipients will no longer need to go to a bank or visit the money-changers. They will only need their mobile for all transactions and it means the money-changers will be kicked out of the Somaliland cash temples forever. Where Selesom has led, Somtel will attempt to dominate while the four other carriers will undoubtedly emulate. So while the world wasn’t watching, a small peaceful country in the Horn of Africa that doesn’t officially exist will set an example that the rest of Africa will inevitably follow. Funny old world. Perhaps Dylan should write a song about it.